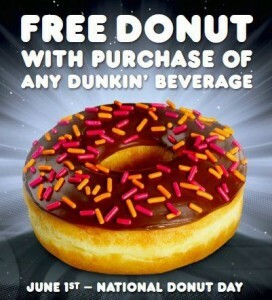 June 1st is National Donut Day! Stop into Dunkin Donuts and get a FREE donut with beverage purchase. Sounds like a yummy breakfast to me!